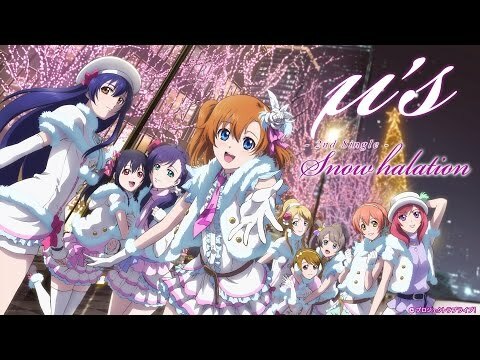 /cute/ - Love Live/General Idol Thread! Post cute idols doing cute things! l♥ve Live specifically, but other idol shows are welcomed! Where does this burd thing come from? >People call her burd as a nickname. I think this is the cutest board layout I've ever seen. I like it. Thanks! I'm really glad you enjoy using this board. This place kinda died before the influx of 4chan traffic. I wasn't really moderating it much before then, but if you guys are interested in using it, I won't mind keeping an eye on it in case anybody posts something against the rules or whatever. No Nozomi in this thread. What would you do if Maki gave you a present like this? What happened to this picture? I wish she would wink at me! I'd gladly accept her gift and make sure to give her many more. Too busy loving the Nico-nii. Oh, by the way, if you want to see more of these here is the artist. These are very cute. Do you have translations? Sadly, I don't have any. Finally I can post multiple images at once. It's good to see this place being more lively. Also, I never imagined glasses would work so well on Kotori! My light and happiness forever and ever. I used this as a background for a while! Me too! Chibi μ's are incredibly cute. But now I'm using this warm and soothing picture. Happy Birthday to beautiful Umi. I prefer her native timezone. Don't let it stop you from wishing a happy birthday!